Sadeghpour, H., Ghasemi, Y., Rezaei, Z., Khabnadideh, S., Falahzadeh, Z. (2012). Antibacterial Activity of Some New Azole Compounds. Iranian Journal of Pharmaceutical Sciences, 8(4), 267-270. Hossein Sadeghpour; Yones Ghasemi; Zahra Rezaei; Soghra Khabnadideh; Zahra Falahzadeh. "Antibacterial Activity of Some New Azole Compounds". 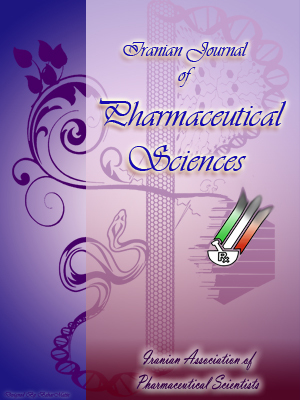 Iranian Journal of Pharmaceutical Sciences, 8, 4, 2012, 267-270. Sadeghpour, H., Ghasemi, Y., Rezaei, Z., Khabnadideh, S., Falahzadeh, Z. (2012). 'Antibacterial Activity of Some New Azole Compounds', Iranian Journal of Pharmaceutical Sciences, 8(4), pp. 267-270. Sadeghpour, H., Ghasemi, Y., Rezaei, Z., Khabnadideh, S., Falahzadeh, Z. Antibacterial Activity of Some New Azole Compounds. Iranian Journal of Pharmaceutical Sciences, 2012; 8(4): 267-270.